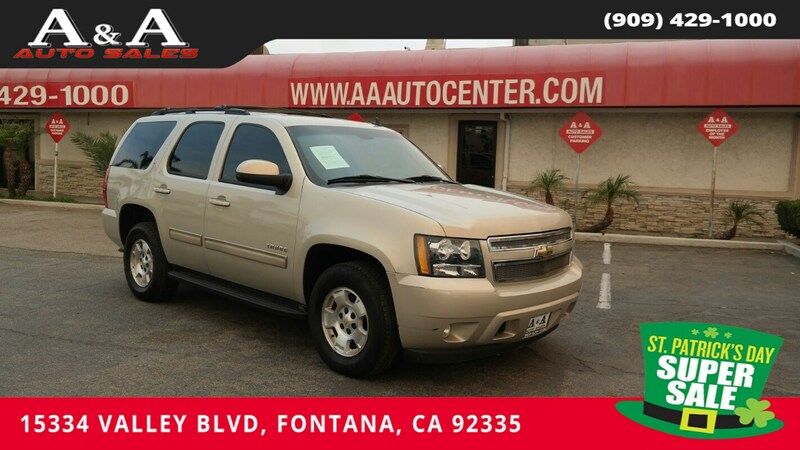 Presenting our 2011 Chevrolet Tahoe LT in Gold Mist Metallic. This beautiful Rear Wheel Drive beast has 8,500lbs of towing capacity thanks to the 5.3 Liter V8 that kicks out 320hp and is connected to a strong 6 Speed Automatic transmission. This combination scores over 20mpg on the open road and offers a confident ride the entire family will enjoy! Inside, our Tahoe LT is the perfect balance of form and function with supple leather seats, plus all the technology you could ask for including available OnStar, Bluetooth, a Bose sound system with CD, satellite radio, iPod/USB interface and a driver information center that supplies updates when you need them the most. Staying warm or cool was never easier with our tri-zone feature for personal comfort settings. You'll also appreciate the versatility of a 60/40-split second-row seat and 50/50-split removable third-row seat.